Here we go again. People are still debating whether a make-believe character can be a color other than their own. The Mall of America — you know that place, America? Home of the widest variety of people on the planet? — anyway, the Mall has a Santa Claus this year who isn’t white, and that is making racists’ heads spin. Santa is, of course, based on St. Nicholas, who was from Turkey, and thus was a darker skinned middle eastern man (just like Jesus!). The idea that a fictional character like Santa must be white fits in with the conservative bubble, where everything involves them and has to fit into their world view or it either doesn’t exist (climate change, evolution) or it is changed to be just like them (Jesus and Santa). But it’s not just Santa. I’ve seen science fiction geeks get all crazy when someone suggests that Superman could be black. “But he’s not!” they scream. There are indeed instances where the race or gender or sexual orientation of a fictional character is important to the story — but if it’s not, who cares? Why does it matter one bit what race Santa is? For that matter, artistic license allows you to change the race of real people. Look at Hamilton, the wildly successful play. There was a conscious choice to cast people of all races to make an artistic statement even while the story itself tried to be accurate. So what? It’s art. Enjoy it and stop insisting that everything has to revolve around you. 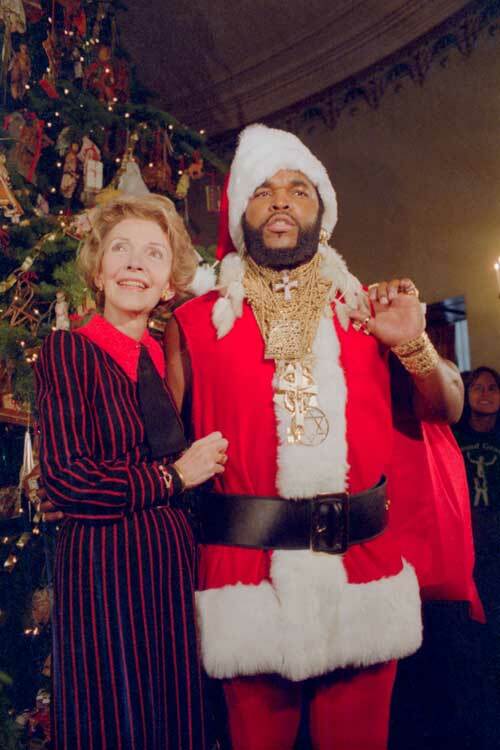 This entry was posted in Racial politics and tagged Black Santa at Mall of America, Black Santa Claus, Race and fictional characters, Racism, Racists object to black Santa, Santa Claus is white, Sarah Palin, Sarah Palin objects to a black Santa Claus. Bookmark the permalink.